Scotland’s undefeated Josh Taylor will now defend his WBC Silver super lightweight title against Nicaragua’s dangerous contender Winston Campos (30-3-5) on Saturday March 3rd at the SSE Hydro in Glasgow following the withdrawal through injury of Mexico’s Humberto Soto. Taylor vs Campos will be screened live and exclusively on Channel 5 and is sponsored by Maxi-Nutrition, Ladbrokes and Voltarol. The twenty-five-year-old Winston Campos is undefeated in four and a half years and has amassed an impressive 30(18) – 3 – 5 professional record during an eight year pro career. The five-foot nine-inch southpaw from Managua, Nicaragua is known for his all-action style and is currently in the form of his life. In 2017 Campos had five fights, winning all of them, including four by knockout. Campos’ last loss came in 2013 to former WBA World lightweight king Ismael Barroso and since then the man known as ‘El Zurdo’ has been on a run of fourteen fights unbeaten. 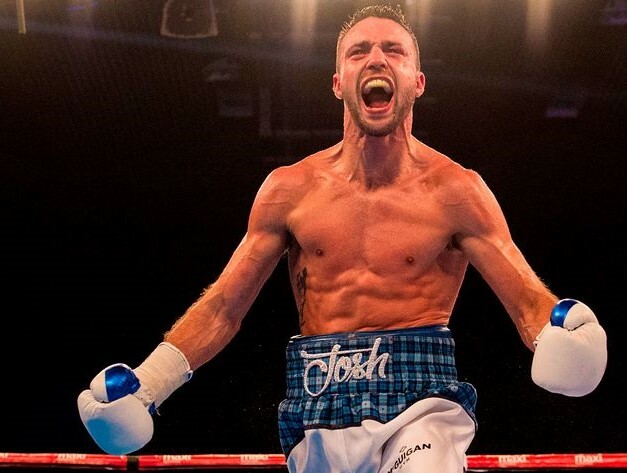 Scotland’s leading boxing light Josh Taylor is fresh from his emphatic stoppage victory over former IBF World Champion Miguel Vazquez in Edinburgh last November. The talented Prestonpans native is ranked highly by the WBC, IBF and WBO and is fast closing in on a World Title shot. First though Taylor must overcome his hard-punching Central American challenger on Saturday the 3rd of March at the magnificent setting of the SSE Hydro in Glasgow. This huge night of championship boxing on March 3rd is labelled as ‘Scotland’s Finest’ and will indeed feature the brightest lights in Scottish professional boxing on a stacked undercard. Edinburgh’s undefeated Jason Easton (11-0-0) will box Sunderland’s Glenn Foot (21-3-0) for the vacant Commonwealth super lightweight championship. Motherwell’s 2014 Commonwealth Games gold medallist Charlie Flynn (10-0-1) and Irvine’s Ryan Collins (13-2-1) face off once again for the vacant Celtic lightweight title in what is sure to be fiery rematch following some bad blood between the two Scottish contenders since their first fight at the SSE Hydro last year. Scotland’s former amateur star Lee McGregor (2-0-0) makes his third start as a professional on March 3rd when he features in an eight-round contest on the big Hydro card. The exciting McGregor will be looking to make huge strides in 2018. Undefeated IBO World lightweight champion Chantelle Cameron (5-0-0) will make her first defence of her belt against France’s highly rated and experienced Myriam Dellal (15-7-3). Edinburgh’s undefeated Iain Trotter (5-0-0) will box Glasgow’s Marc Kerr (11-1-0) for the vacant Scottish Middleweight title on the big Hydro bill. Elsewhere on the card, Glasgow’s undefeated Scottish super bantamweight champion Joe Ham (13-0-0) will feature in a six-round contest and Glasgow’s undefeated Gary Rae (5-0-0) boxes in an four-round super bantamweight contest. LIMITED TICKETS ARE STILL AVAILABLE FOR ‘SCOTLAND’S FINEST’ – TAYLOR vs CAMPOS AT THE SSE HYDRO IN GLASGOW ON SATURDAY MARCH 3rd – PRICED £40, £60, AND VIP INNER RINGSIDE AT £125 + BOOKING FEES, AND AVAILABLE FROM WWW.TICKETMASTER.CO.UK OR CALL 0844 844 0444.